Heart shape is definitely liked by most of us as it shows much of our secret emotions and feelings for our loved ones. We have decided to list down of the 82 Best Crochet Heart Pattern – Top Tutorials that you can easily make with simple patterns and techniques. The first project that we have here is a crochet heart and arrow pattern made for a necklace. This locket looks absolutely phenomenal and romantic and is super easy to make as you will see in the tutorial yourself. Next we have something for your beautiful hair and this is an adorable crochet head band made with simple and basic patterns of crochet. Grab some of your favorite color of crochet yarn and start these projects right away. You can use a simple hairband and attach a crochet flower on top of it. Have a look at this crochet heart garland that looks super romantic and cute and will surely decorate one of the walls in your house in an extra ordinary way. The next project that you see here is also related to the occasion of valentine and is a crochet mug cover which is also valentine themed. 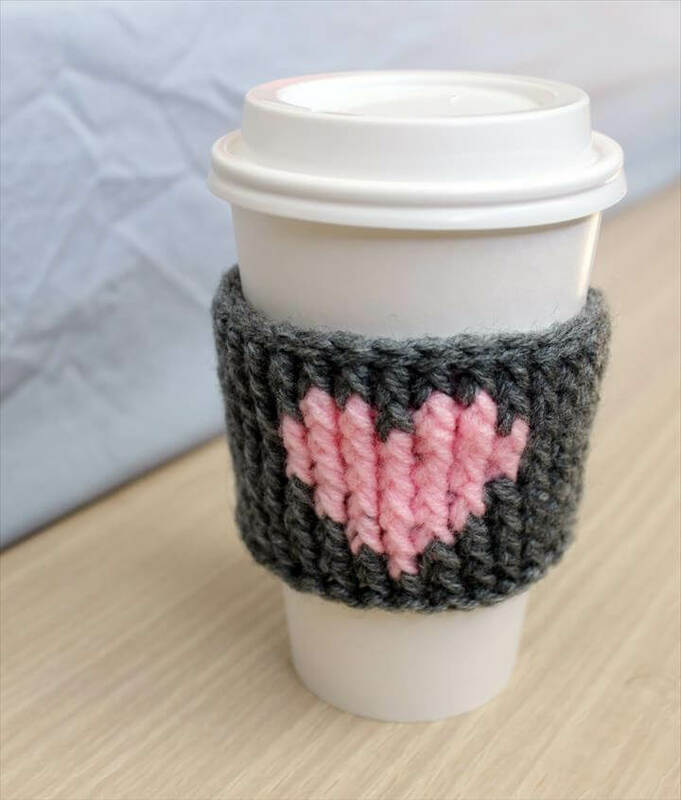 Make your coffee mugs more cozy and warm this winter with these crochet coffee mug covers with heart patterns on them. also you can make cute and small storage baskets with crochet heart pattern. 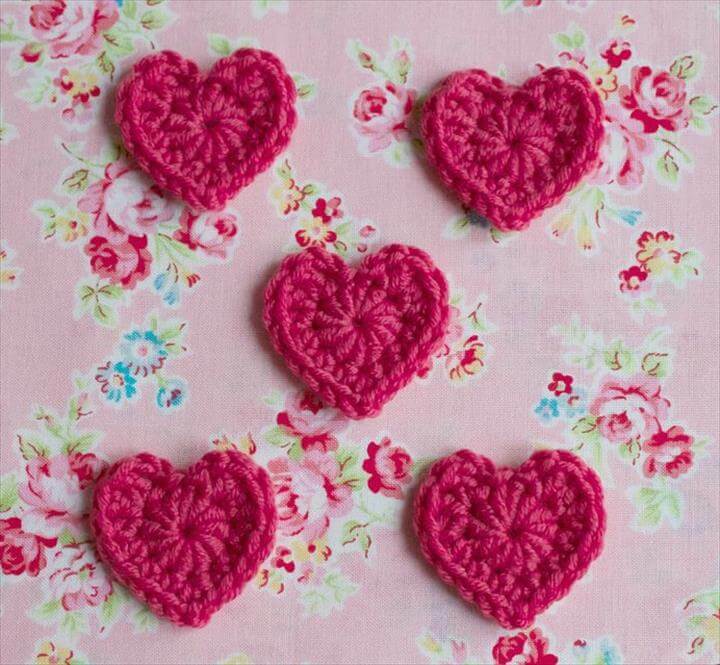 This heart pattern of crochet can be easily found by you in the links given below the projects so write the steps down and start your work this holiday. Share these amazing idea with others also so that they may also make some amazing masterpieces for themselves and others.